MSE Creative Consulting Blog: Need a Book for Spring Break? Need a Book for Spring Break? Here is the perfect book for spring break. The book is a smash with both readers and critics alike as the reviews demonstrate. 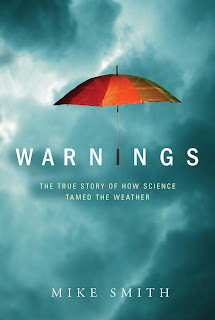 It is an uplifting story of heroic ventures by the pioneers of the storm warning system that saves thousands of lives each year. "Particularly Dangerous Situation" Tornado Watch! More Great Reviews of "Warnings"
Valentine's Fun: "Nothin' Says Love Like Cows..."